This extra virgin olive oil is produced entirely from green olives harvested from the Bariani orchards in October giving it an intense and robust flavor. With peppery notes of green grass and artichoke, try this olive oil on your favorite dishes and experience the flavor of the bountiful California land. Bariani olive oil starts its life not in the bottle, nor after the olive pressing, but at the roots of their trees. Located in Northern California, the Bariani family has origins deep-rooted in the Northern Italian region of Lombardy. Coming from a long line of entrepreneurs and artisans, the family's ideals have never changed as they maintain their commitment to producing the most authentic extra virgin olive oil. The family gives particular care to the entire extraction process from the tending of the olive orchard, to the bottling of the oil, opting for quality rather than quantity. 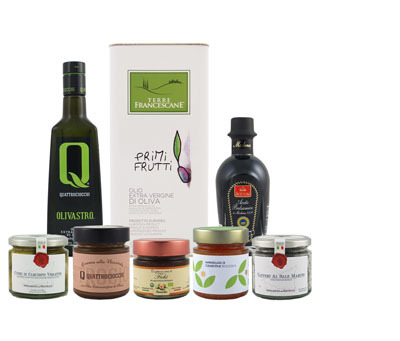 Produced in a limited quantity, the olive oil is a registered organic product, and with the particular and discriminatory taste of the family, the quality is always guaranteed. Pressed from a blend of three California olive varieties.